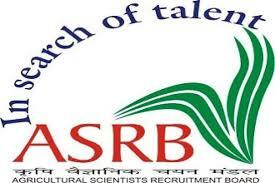 Agricultural Scientists Recruitment Board Recruitment 2017 2018 - 173 LDC, Stenographer Posts | ASRB LDC, Stenographer Jobs Apply Online at Official Website www.asrb.org.in. Good News for Jobcontenders ASRB Exam Notification 2017 has announced an official advertisement for 173 LDC, Stenographer Posts. Eligible Candidates can Apply Online Through Official website www.asrb.org.in | ASRB Syllabus, Age Limit, Eligibility Criteria, Exam Fee, Application Processes, ASRB Admit Card Date, ASRB Exam Date, ASRB Result Date and ASRB Last Date Details Given below Check before Applying. 1. Lower Division Clerk (LDC) - Candidate must be 12th class pass or equivalent form a recognized Board/University and a typing speed of 35 wpm in English or 30 wpm in Hindi on computer. 2. Stenographer - Candidate must be 12th class pass or equivalent form a recognized Board/University and dictation test in English or in Hindi at 80 wpm for 10 Minute.